Margaret Mary Salazar entered into eternal rest on Saturday, April 7,2018. She was born July 24, 1941 to Jose C. and Josephine Naranjo in Fort Collins, Colorado. Margaret attended Holy Family Catholic School in her younger years. In 1957 she, along with her parents and siblings, moved to Berthoud where she attended Berthoud High School. There she met her future husband LeRoy J. Salazar, they married June 19, 1958 in Berthoud. From their union they had five children Geraldine (Abe) Rivas, Bobby (Cherry) Salazar, Liza Salazar, Rodney (Isabel) Salazar and Oretta Salazar. After the death of her mother, Margaret and LeRoy raised her younger siblings, Carmen (Nash) Martinez, Cathy (Alfred) Gonzales, Mike (Tish) Naranjo, and Georgia (Ernie) Rivas. 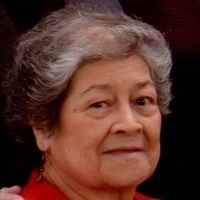 She is also survived by her sister Mary Naranjo and brothers Joe (Joyce) Naranjo, Manuel (Barb) Naranjo, and Roger (Karen) Naranjo, 17 grandchildren, 33 great-grandchildren, 2 great-great grandchildren, numerous cousins, nieces, nephews and Godchildren. She is proceeded in death by her parents, 2 brothers, 2 sisters and her grandson. Margaret had a big heart she cherished and loved her family and friends unconditionally. Viewing at the Kibbey-Fishburn Funeral Home, Thursday, 5 – 7:00 p.m. with Recitation of the Rosary starting at 7:00 p.m. Mass of Christian Burial, Friday, 10:00 a.m., St. John the Evangelist Catholic Church. Interment, Foothills Gardens of Memory, Longmont.